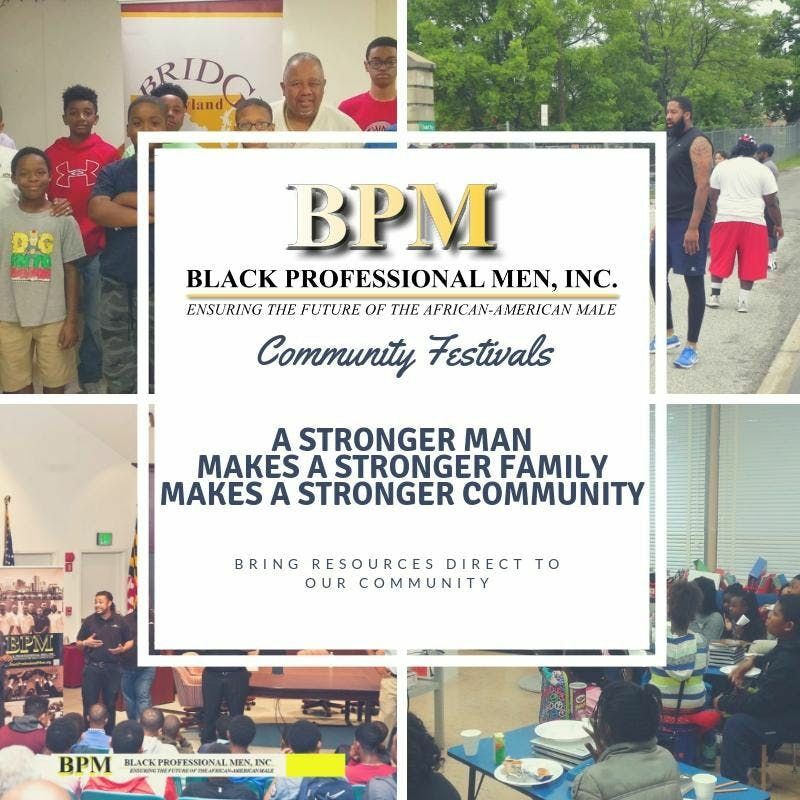 Black Professional Men, Inc. (BPM) is a nonprofit 501(c)(3) organization based in Baltimore, Maryland and established in 1991 to address the social, economic and political awareness needs of the African-American community, especially those of the African-American male. For a more in depth look at the work, programs, and events sponsored by BPM we encourage you to visit our website at www.blackprofessionalmen.org. There is unity in the community! BPM strongly believes that if we work together as a community to provide the necessary resources and support needed, in the most efficient and economical way possible, together we can combat some of the socioeconomic barriers that plague our communities. By pulling our resources together, we can collectively serve the community through creating partnerships with our neighbors in various neighborhoods. Through collective bargaining and thinking we can and will strive to develop relationships and create opportunities. The BPM Community Festival Initiative team will be hosting a total of 25 festivals in communities within and surrounding the Baltimore City/County areas from April through October of 2019. We are working to establish relationships and partnerships with community associations, organizations and leaders to collaborate with and establish annual festivals that support community needs. In addition, we are working to secure global partnerships with non-profit vendors to address the following services: Health and Wellness, Human Services, Family Services, Drug Treatment, Mental Health, Economic Services, Bullying, Human Trafficking, Citizen Re-Entry, Expungements… While this is a targeted list of services, vendor availability will determine which services will be present at each festival. Questions regarding the festivals should be sent to ZmVzdGl2YWxzIHwgYnBtaW5jICEgb3Jn.